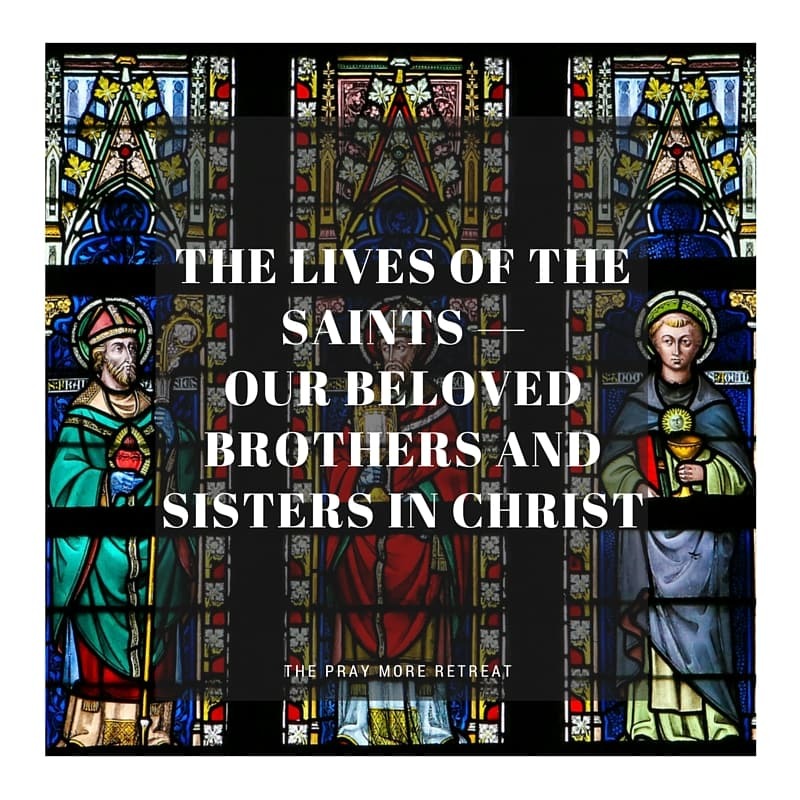 Click here for a printable study guide for The Lives of the Saints — Our Beloved Brothers and Sisters in Christ. Is there a certain saint that I could learn more about, and ask for their intercession regularly? Just as I ask the communion of saints to pray for me, do I also, in turn, pray for my brothers and sisters in Christ — the ones who are still living, and the faithful departed? Find truth in some difficult questions. Below are two-minute answers to your questions about the Catholic faith. 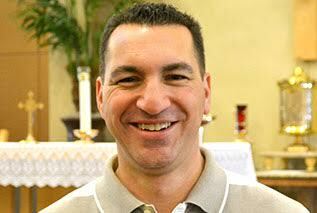 Tom Perna is the Director of Adult Evangelization and Catechesis at Saint Mary Magdalene Catholic Church in Gilbert, Arizona, where he oversees RCIA, Adult Confirmation, the faith formation ministries, and the Porta Fidei Adult Faith Formation Program. In addition to his work at the parish, Tom spends time writing on his blog – TomPerna.org. He is the author of Understanding Catholic Teaching on the Blessed Virgin Mary (Emmaus Road Publishing). Tom holds a Masters in Theology from Franciscan University of Steubenville, a Masters in Education from the University of Phoenix and a Bachelor of Arts in Philosophy from the University of San Francisco, which includes a Great Books Certificate from the St. Ignatius Institute. I’m going to answer some of these questions and many more. superheroes but these are saints that have lived heroic lives of virtue. the prophets and the holy people with shrines. third state is the Church triumphant and those are the saints that are in heaven. them but also pray asking for their intercession as well. to interpret the Bible and declare the truths she has for the past 2,000 years. our models and intercessors for us at all times. because she is the Mother of God. We also give honor to those who deserve it. something right now, I’m going to ask you to pray for me. Well, it’s the same thing. the time, perpetually and eternally, and that in the Presence they can pray for us. get to that shortly as well. God, so it is good to pray to them and through them to God. does. We should ask the saints for prayers as well. churches, stained glass windows of the saints in our churches. John Hopkins on the university. That statue there is just like the statue of the saints. It’s to remind us of the person. What many non-Catholics will fail to see is that statues are not graven images. because they are not equal to God. only been used since the 10th century. was really done with the first martyrs who gave their lives up for Jesus Christ. Congregation that looks at when a person is brought before the Congregation. They are the ones that look at everything. quickly just so you can understand it explain it to others but it is a long process. years. He actually made sweeping changes to this process. being requested is responsible for beginning the investigation. this point, the person is given the title, “The Servant of God”. work is put together here. Congregation to draft the relative decree. Beatification requires evidence of one miracle except for in the case of martyrs. specific petition to the candidate. intercession because we believe they are in heaven with God. be able to honor him. saint. It recognizes what God has already done. Doctors of the Church. What is a Doctor and what is the role of the Doctor? stands for, a doctor of philosophy. The term doctor comes from the Latin word, “docker” which means, “to teach”. Church care for the soul and spirit of the human person. A perfect example would be St. Therese of Lisieux and St. Thomas Aquinas. St.
that I’ll put that into book format as well. do we keep jewelry of different saints? parts, possessions, fragments of a particular person or event in the life of a person. on the cross, the thorns and yes even the cross itself. items associated with the saints remains. direct contact with a first or second class relic. their names where the relic of that saint was placed somewhere in the church. that saint to pray for you and ask for their intercession. through everything that we go through even today. saint as you wake up in the morning. out you’ll have a great devotion to the saints especially during this Lenten season.